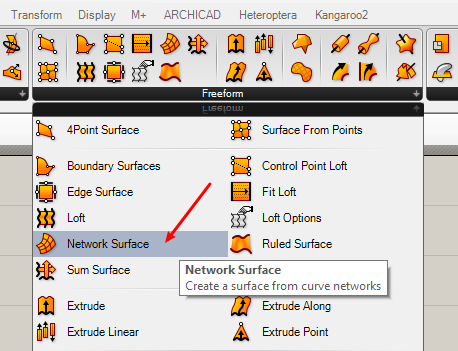 A freeform surface grid is a standard task in parametric modeling. 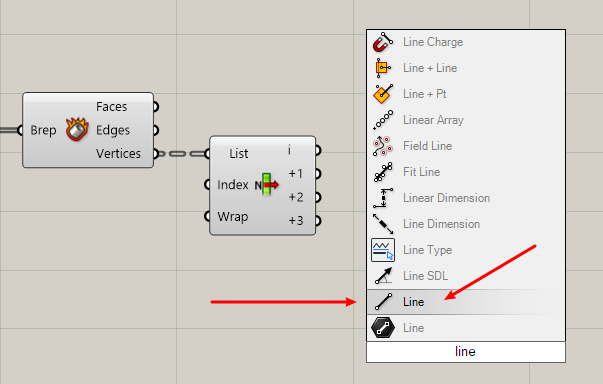 And a good reason to use ARCHICAD together with Grasshopper. 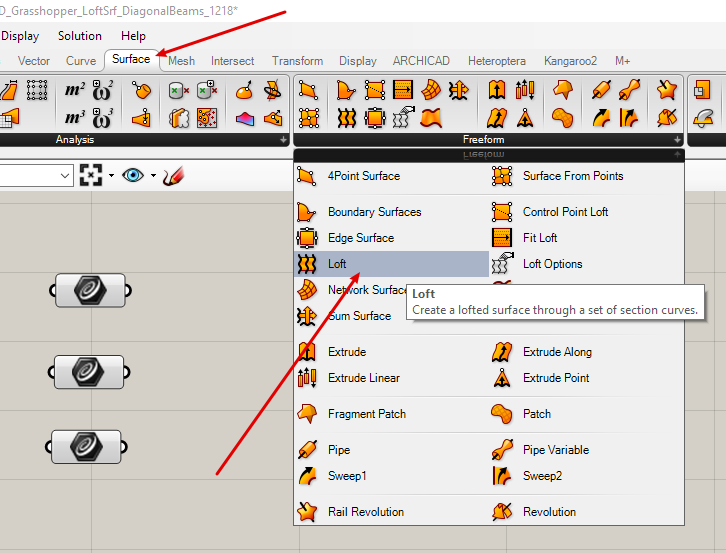 See here some of the basics. 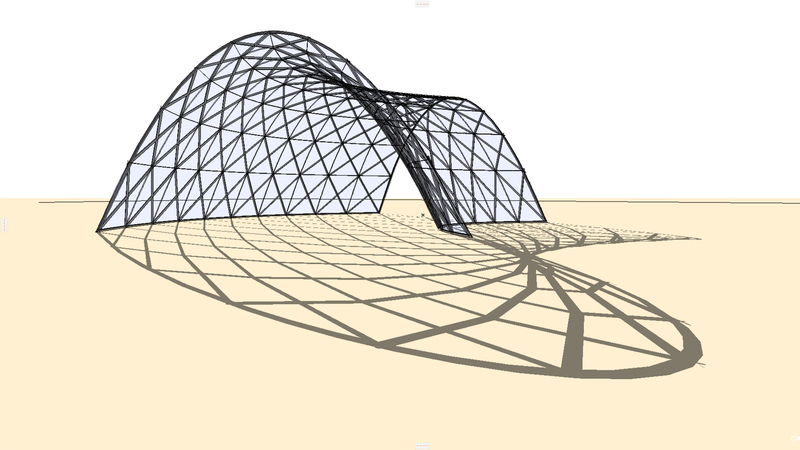 The forms I use are only meant as examples – please feel free to build alternate structures. 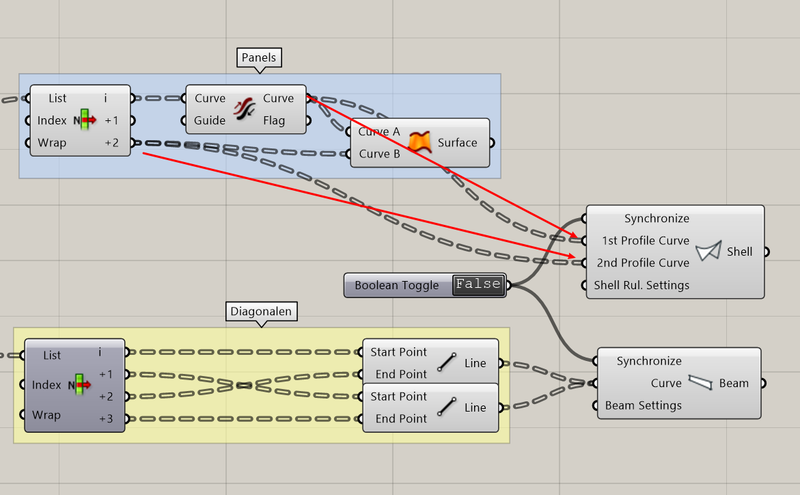 The workflow I show you centers around Grasshopper. 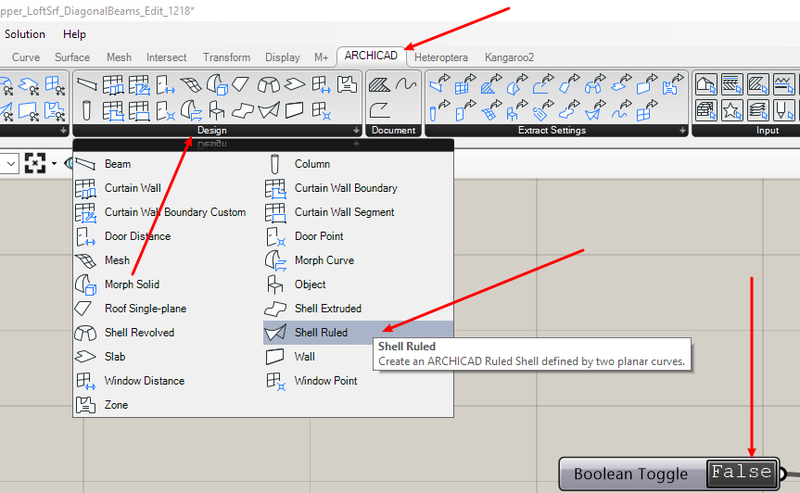 But we use also Rhino3D and ARCHICAD. 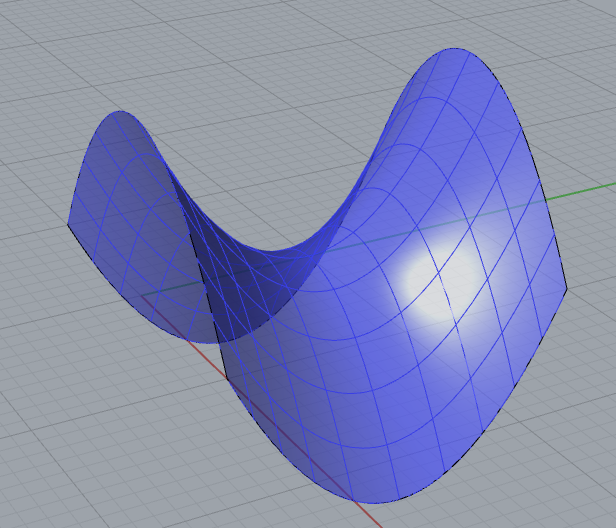 Rhino3D supplies us with editable NURBS curves on which we build our surface grid. (And of course it serves as viewport for our Grasshopper geometry.) 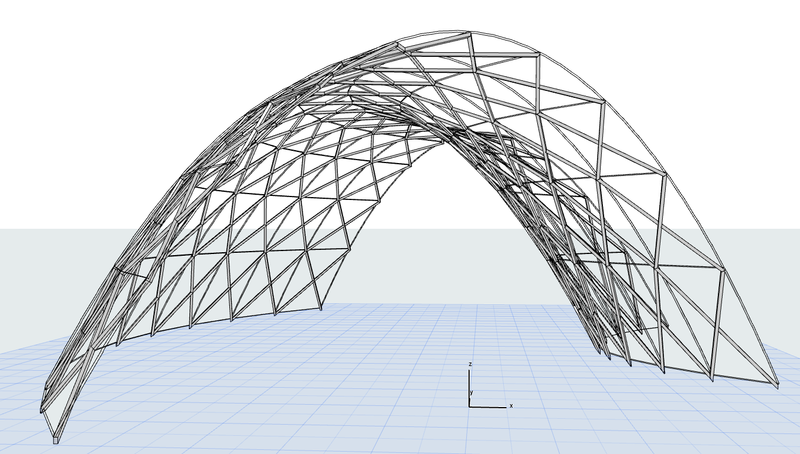 ARCHICAD takes all this parametric stuff and turns it into BIM-manageable building geometry. 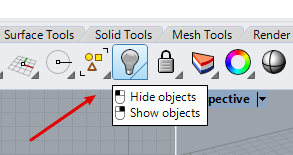 Open Rhino3D and form there, open a new document. Beware of the units! 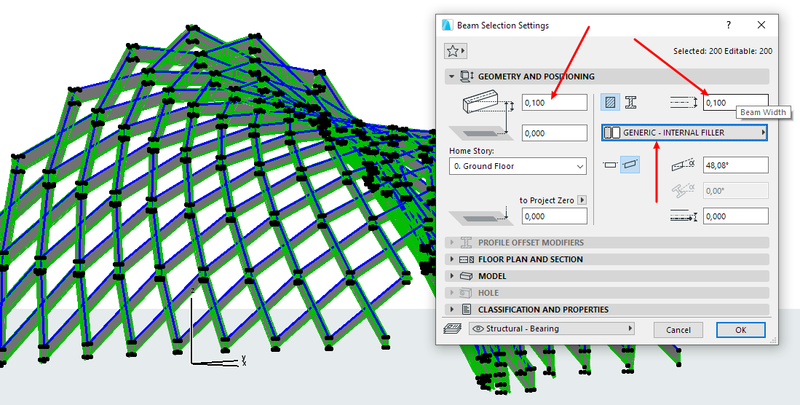 Definitely check out you are working in meter units and use the right grid. 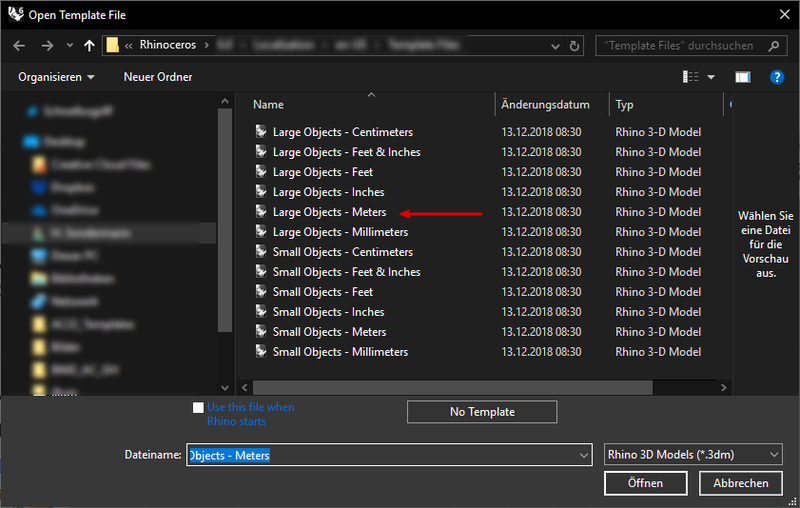 The best way to secure this is to choose a template named Large Objects – Meters. 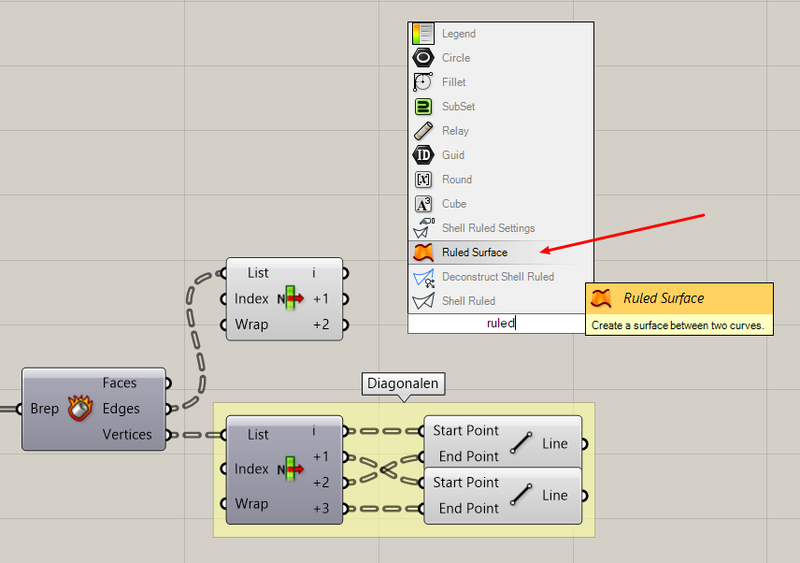 See also my article on Rhino default templates on this matter. 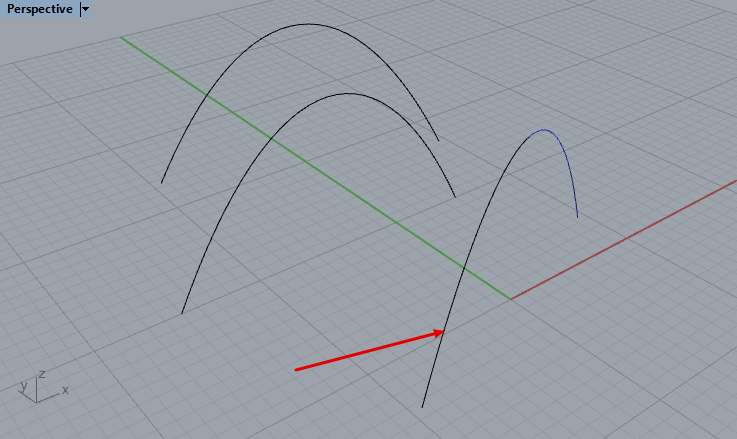 Above you see 3 common freeform surfaces. 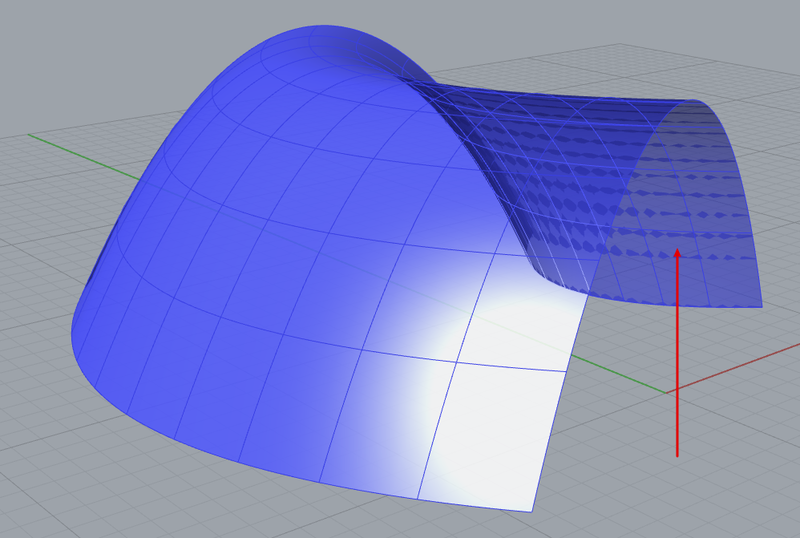 Surface A is constructed via Loft on 3 curves. 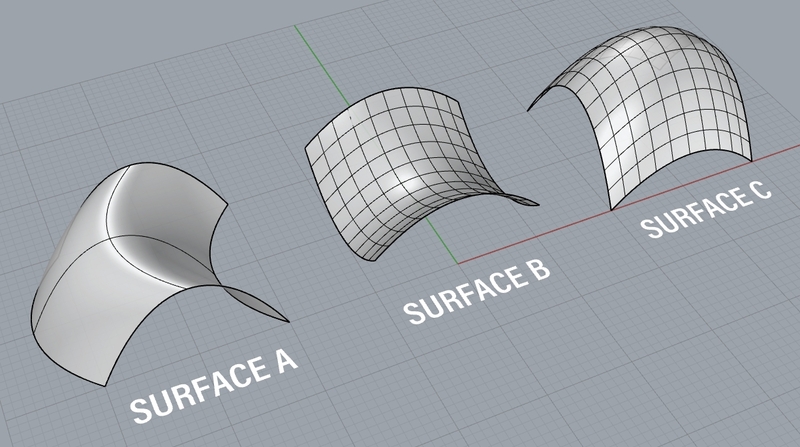 Surfaces B and C are made with Curve Networks based on 4 border curves. 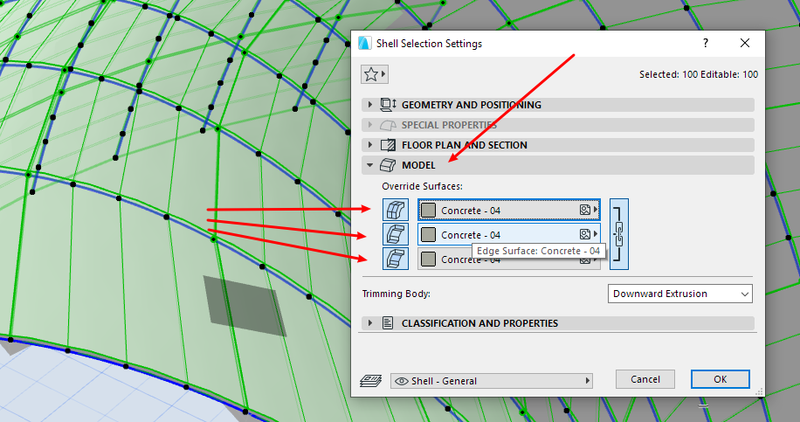 In the following I will explain how to construct surface A. I am also giving hints on how to construct surfaces B and C. Anyway, feel free to make your own choices while following along. 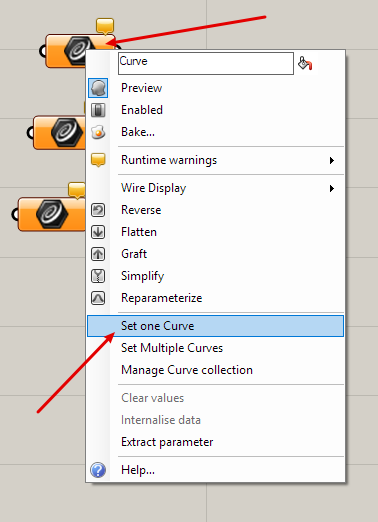 Now Grasshopper has your 3 curves referenced. 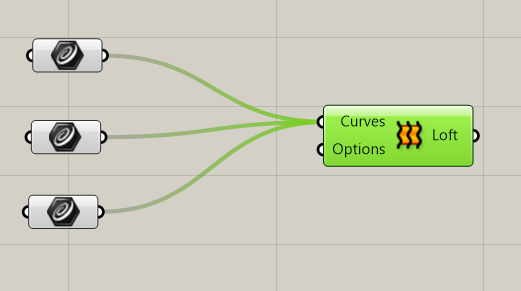 Which means that you can change these curves how- and whenever you like and Grasshopper will process the respective changes. 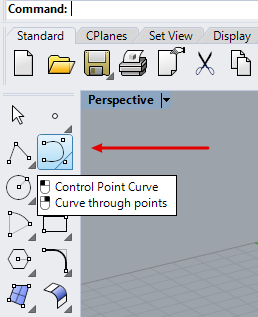 Connect the 3 Curve inputs to Loft’s Curves input. 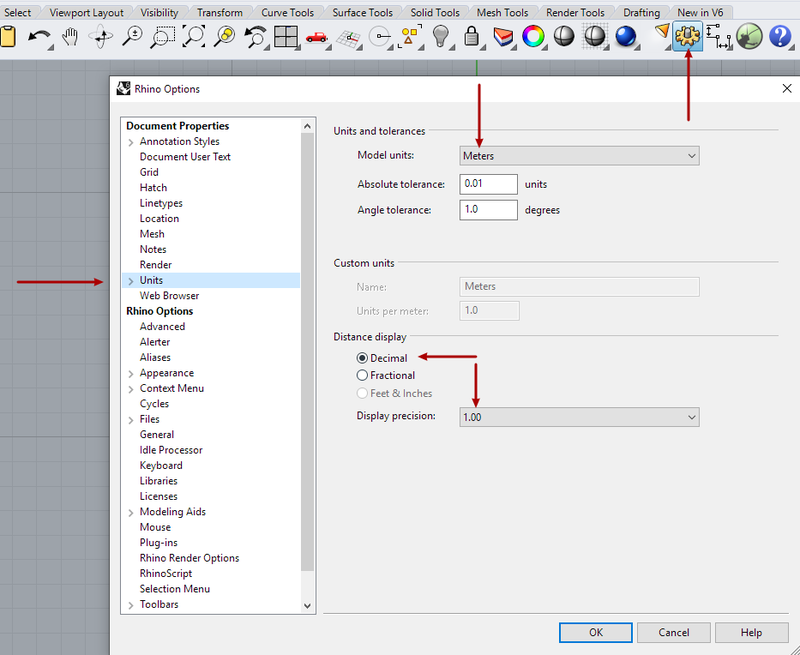 Press Shift so you can tune several streams into 1 input. This is the result. 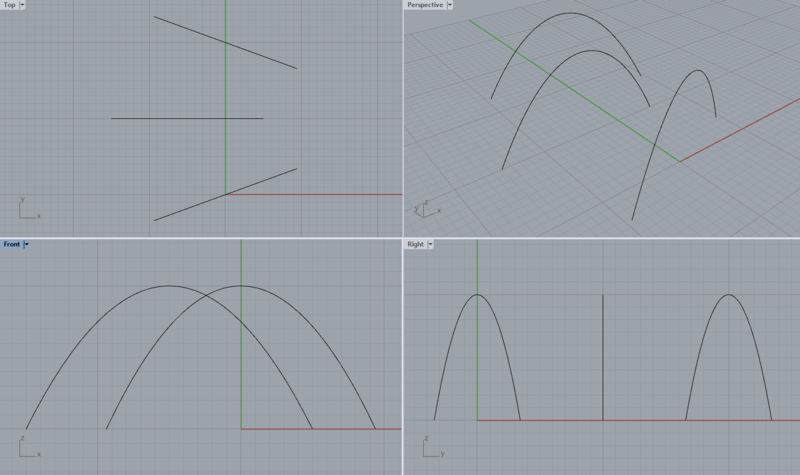 If your Loft looks twisted, the input curves don’t have the right order. 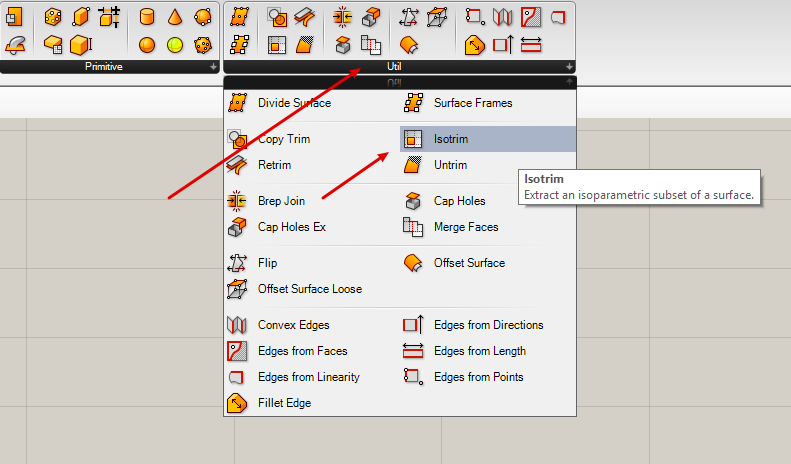 Now all you see is the Isotrim instance of your Loft. 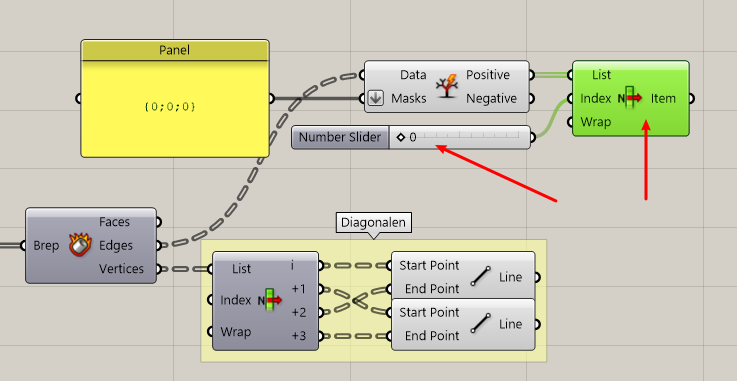 To gain more choices concerning the U and V division, double-click on the Grasshopper canvas and write 5<10<15. 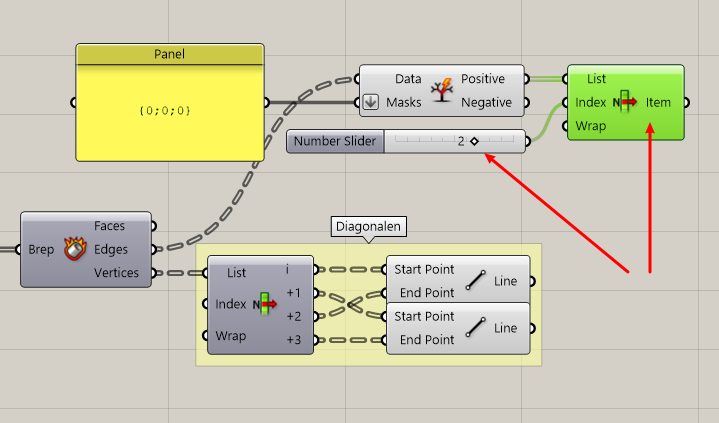 This will produce a Number Slider showing integers ranging from 5 to 15 with 10 as default value. 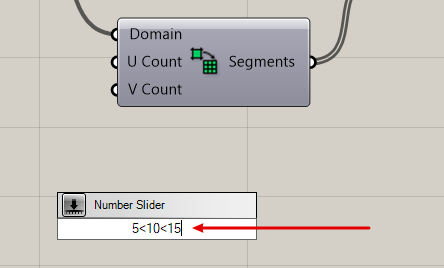 Make a copy of the Number Slider. 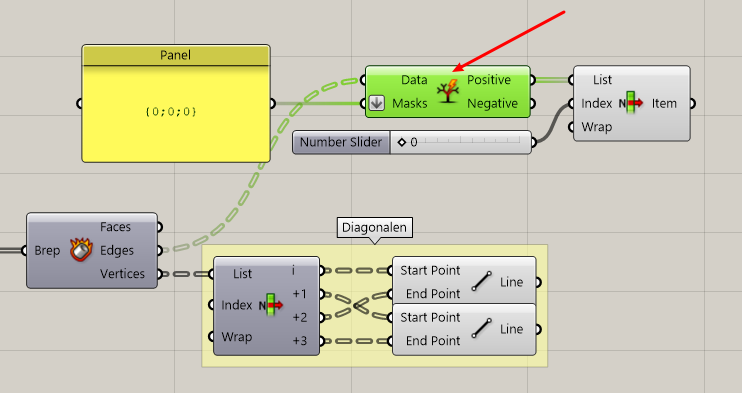 Connect both sliders to the U and V inputs of the Divide Domain component. 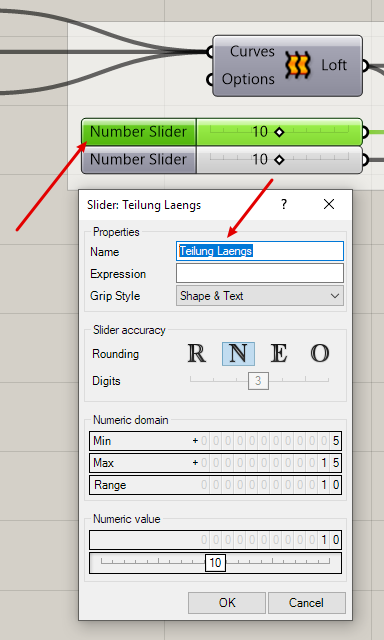 Rename the sliders by double-clicking their names. 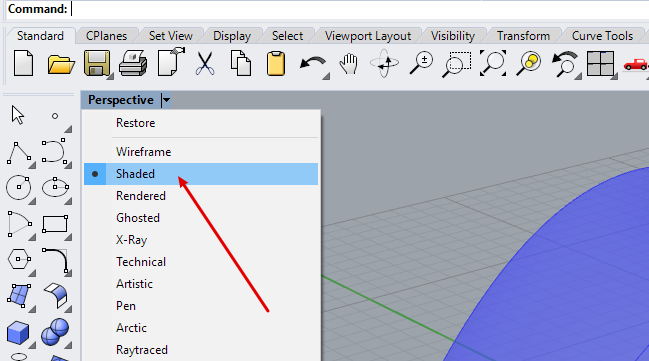 Choose names that help you understand your Grasshopper definition later on. 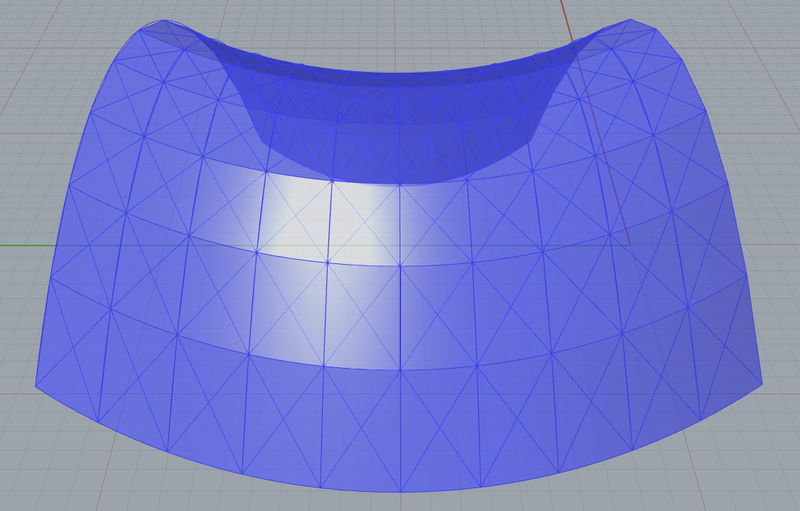 As I said above, a Loft surface is only one way to produce a freeform surface. 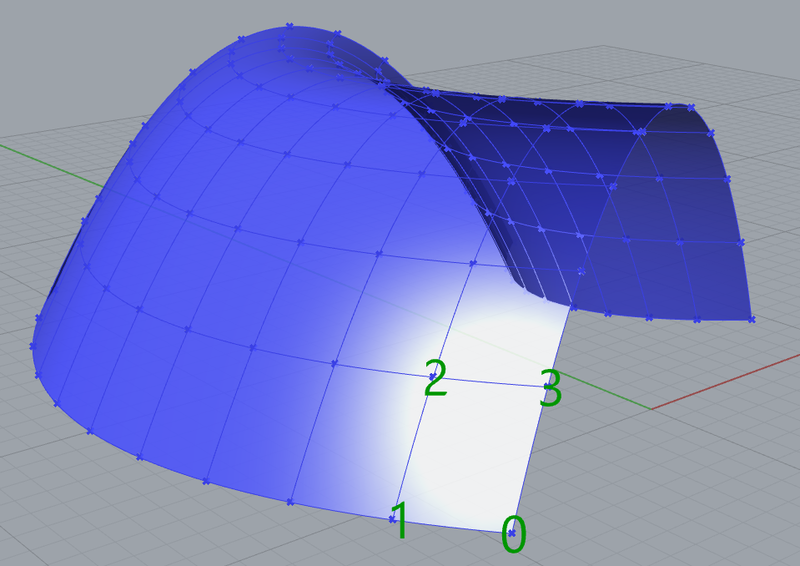 My examples B and C base on 4 curves which define the surface’s border contour in a different way. 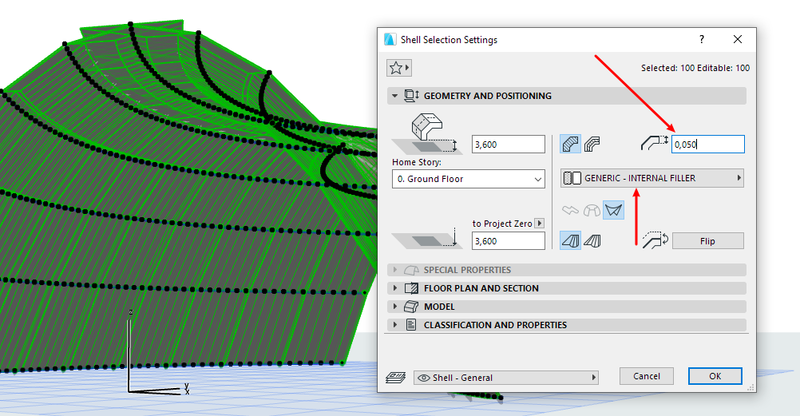 As you see, only the first part is different – the surface generation. 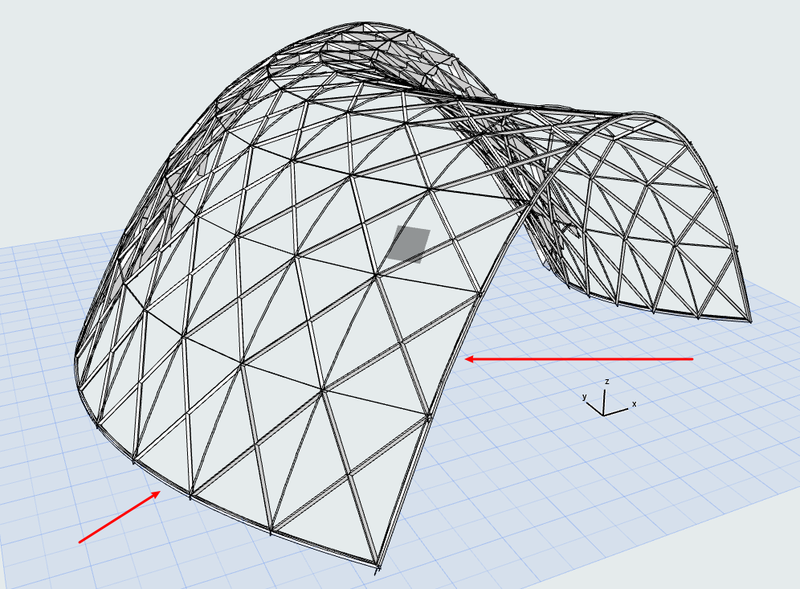 Subdividing the resulting surface is done the same way as for the Loft above. 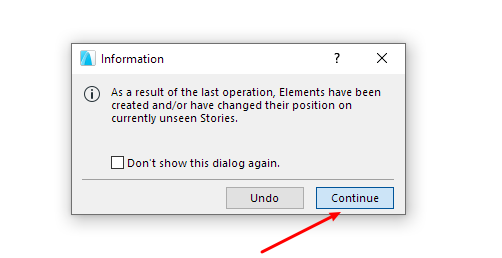 So if you want to follow this path go along. For the rest of us, let’s turn back to our Loft. 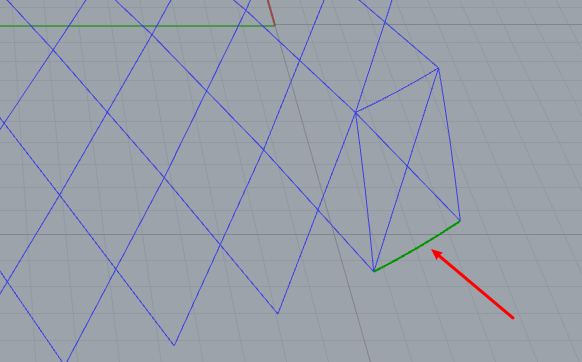 As can be seen in this image, one of the structure’s basic features is it’s diagonal grid. 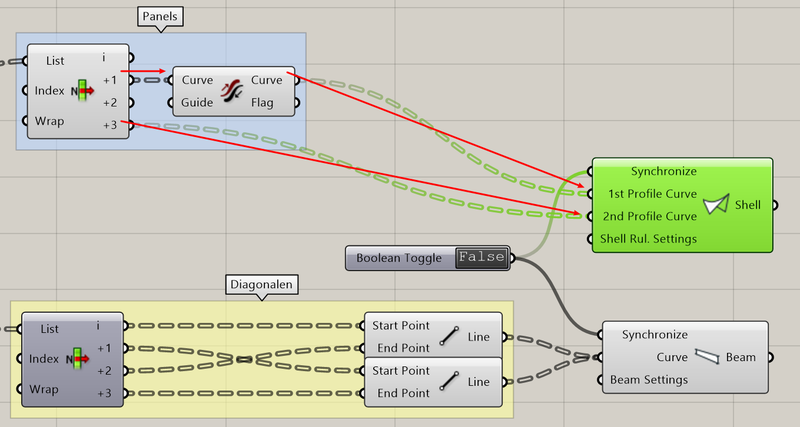 For Grasshopper, this is only a set of lines. 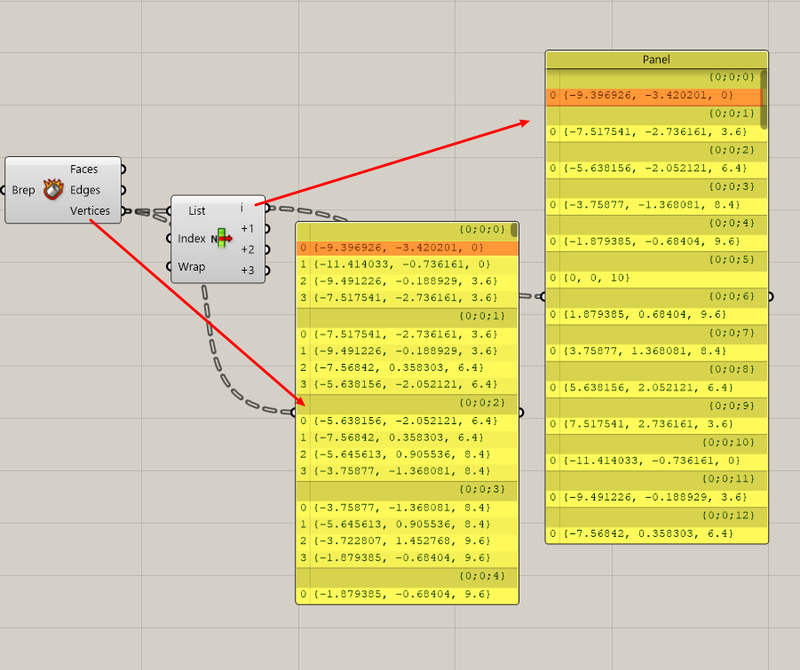 (I used a special component to display those point numbers, in case you wonder.) 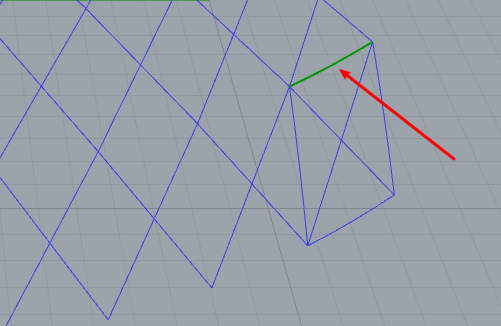 So, if you need diagonal lines, you want to connect points 0 and 2, and 1 to 3 respectively. 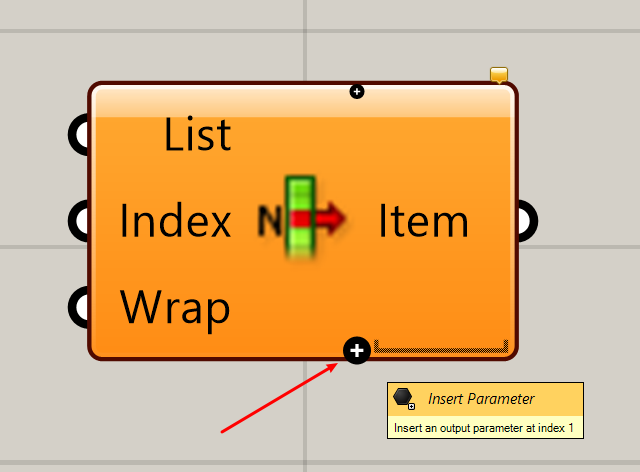 To retrieve points from a list you use the List Item component. 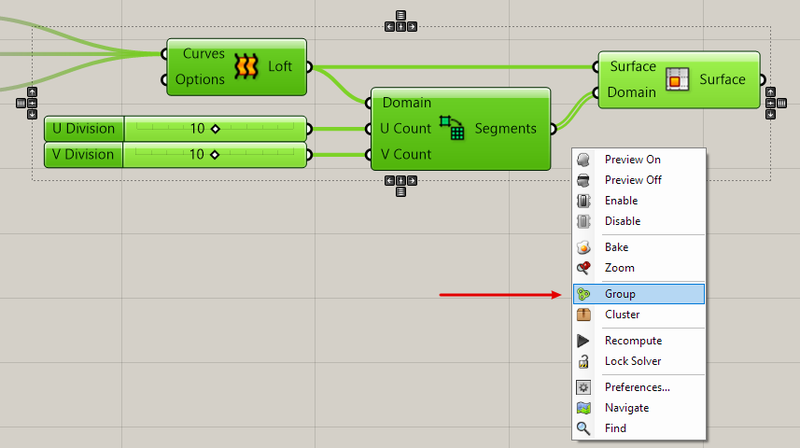 Produce one, zoom into it and press the Plus sign 3 times. 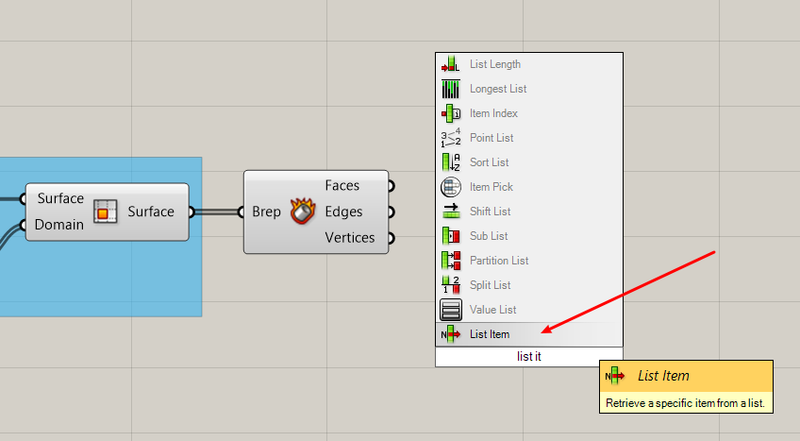 As you see, your List Item component has 4 outputs: i = 1st list item, +1 = 2nd list item, +2 = 3rd list item, +3 = 4th list item. 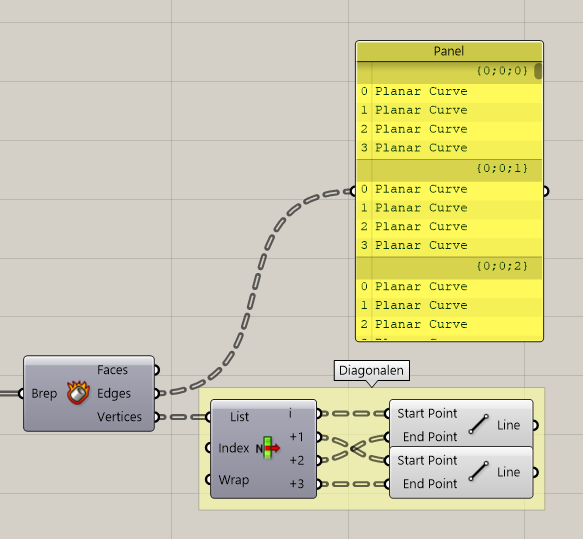 Now for the panels. 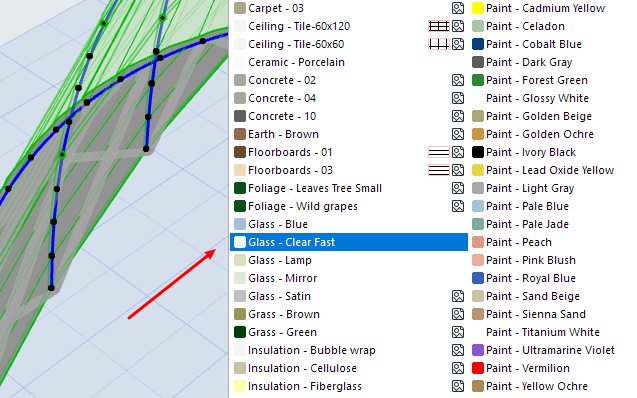 They won’t follow the diagonals, but will fill the U-V-pattern you created with Isotrim. 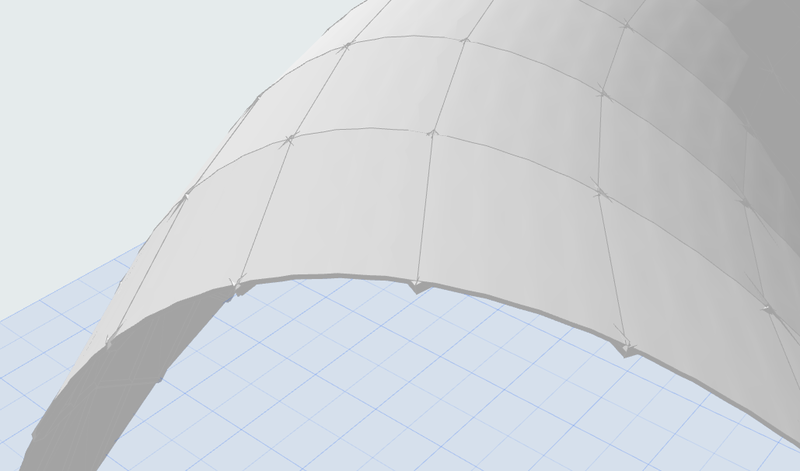 For the roof panels we will utilize the edges that were produced by the U-V subdivison. 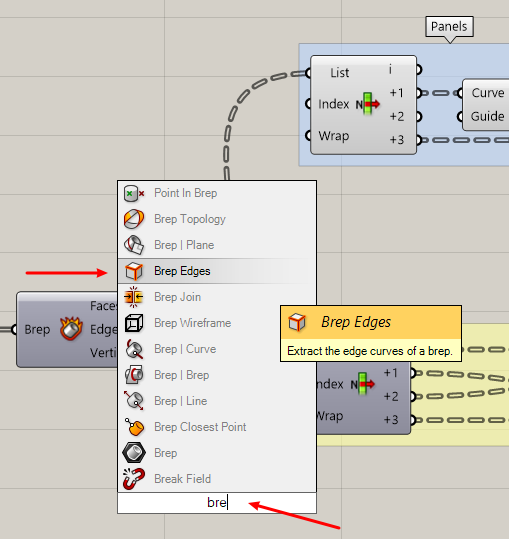 When you connect a Panel component to the Deconstruct Brep Edges output you see again groups of 4. 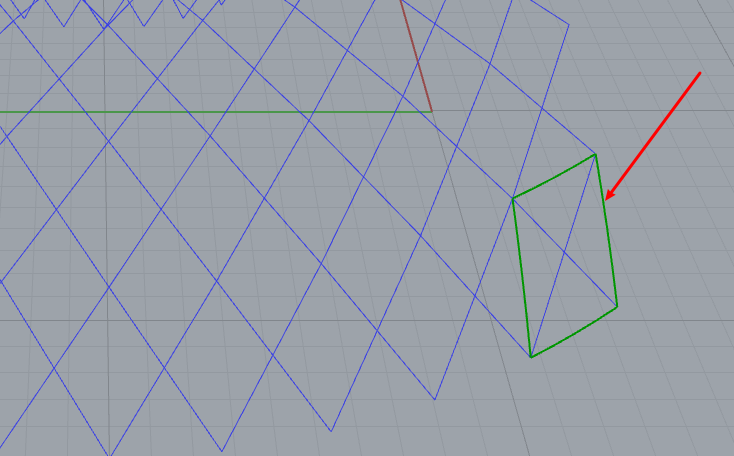 Only this time it’s edges, not points, that generate the U-V rectangles. Above you see one of the edge groups. 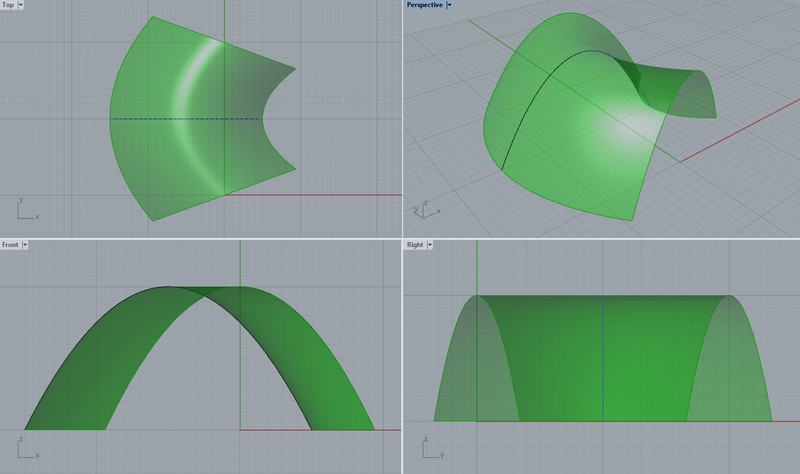 Below you see my small sub-definition I built for demonstration purposes. 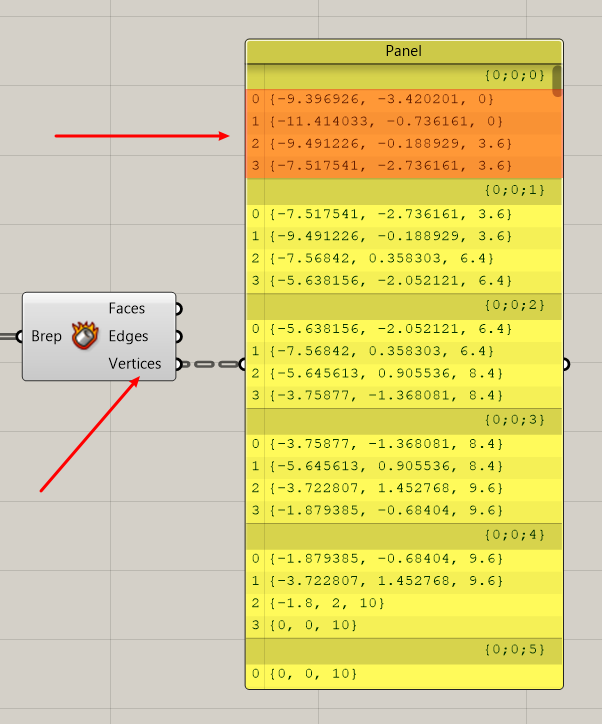 Basically, it extracts one edge group and then allows me to pick one of the 4 edges inside this group – in this example edge no.0. 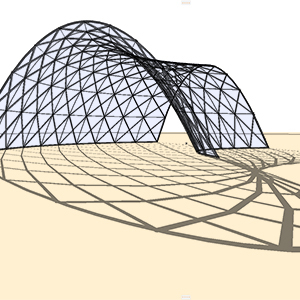 What we have achieved so far can be considered a geometric skeleton. 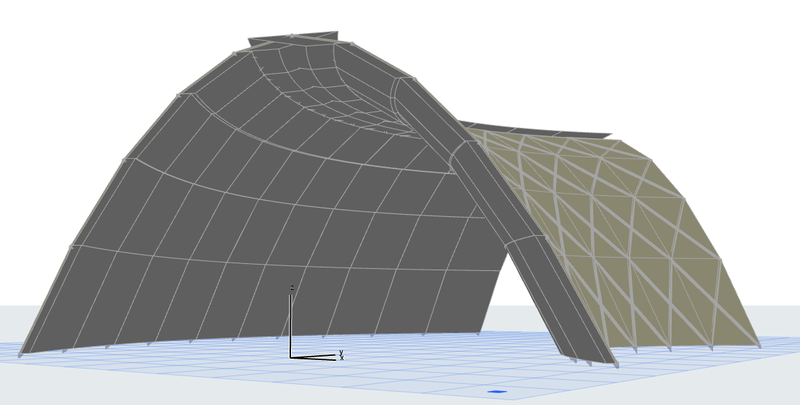 To add some real building substance we will now turn to ARCHICAD. 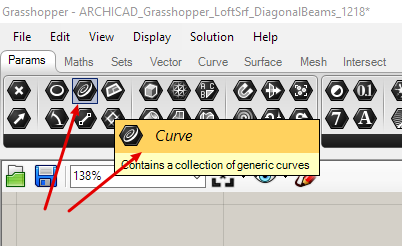 This way, Grasshopper will only generate ARCHICAD geometry when you say so. 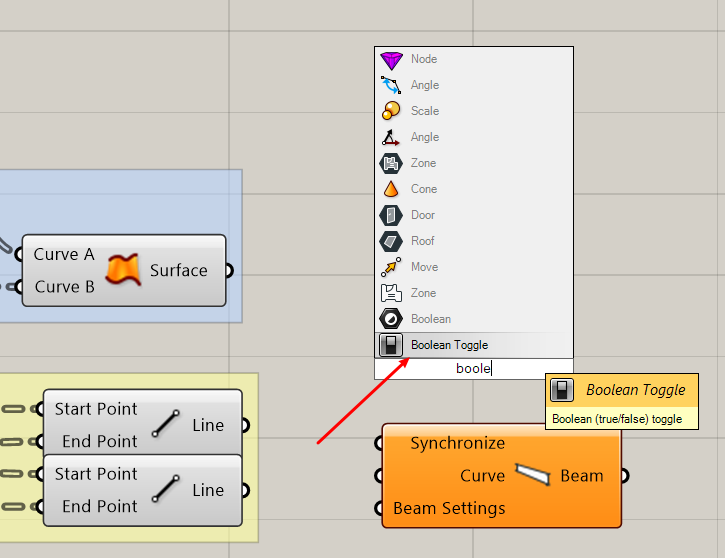 Connect the two Line components to the Beam’s Curve input. 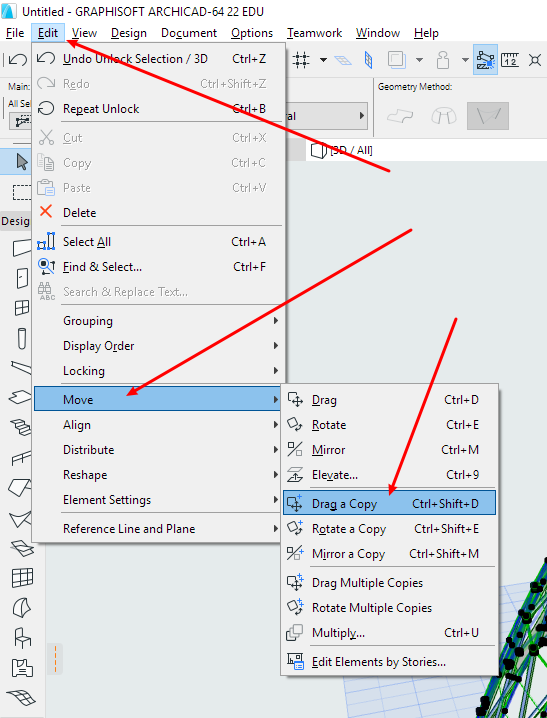 Press SHIFT to be able to connect more than one input. 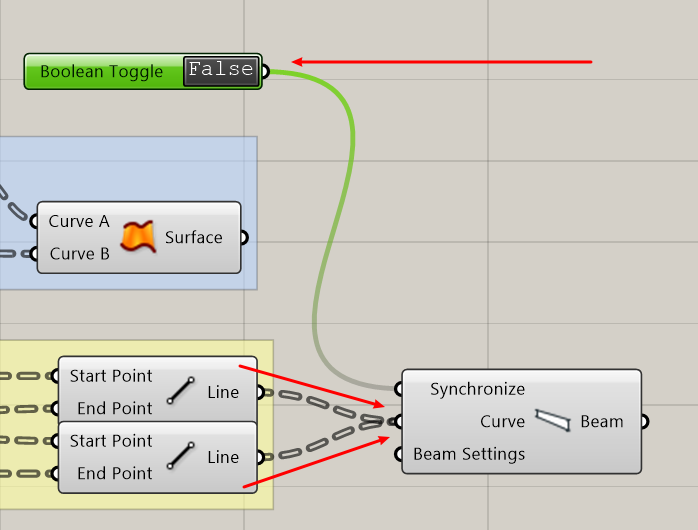 Now these beams are a bit clunky. 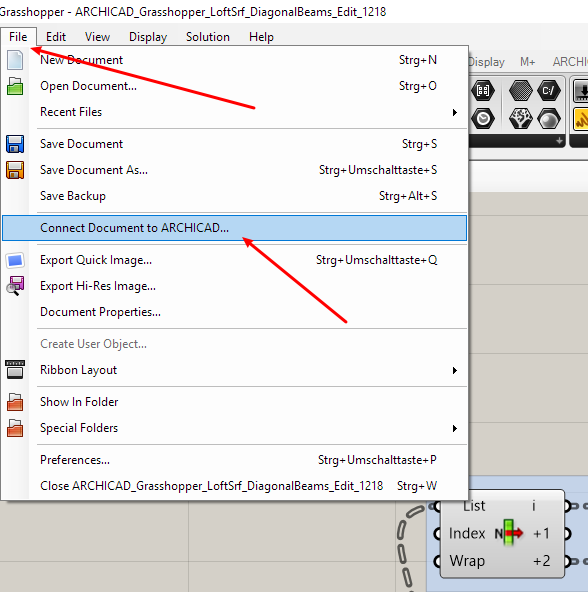 However, it is possible to edit geometry in ARCHICAD even when it is generated by Grasshopper. 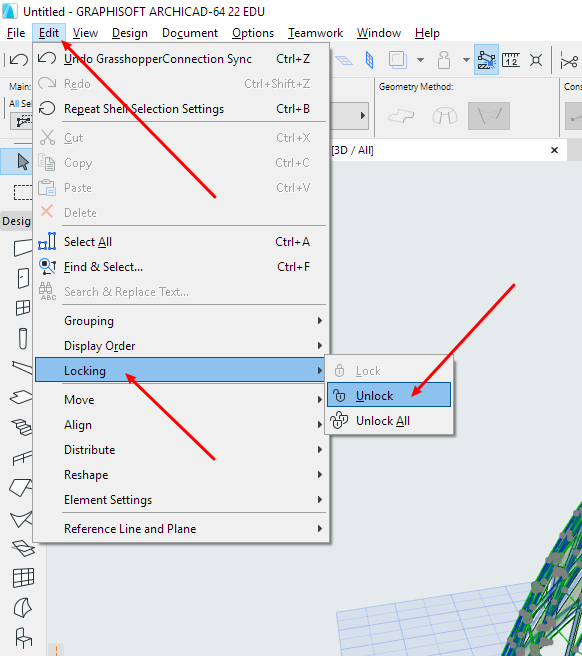 After deselecting, ARCHICAD will re-lock all Grasshopper-generated geometry again, automatically. 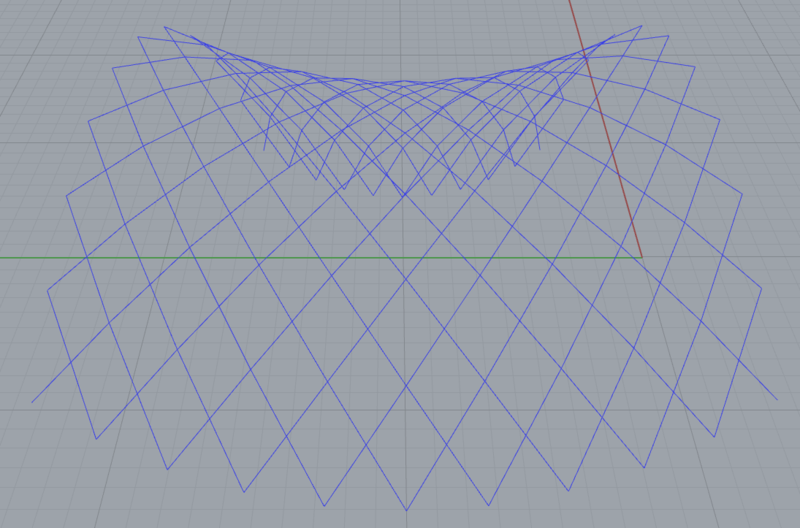 It seems Grasshopper has not produced the correct geometry for our U-V-surfaces. 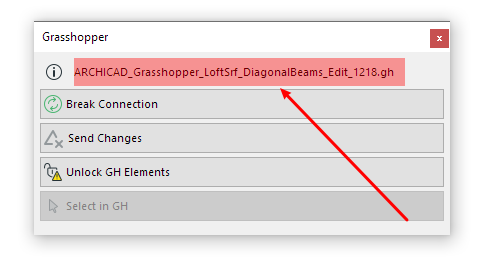 Let’s repair this in Grasshopper. 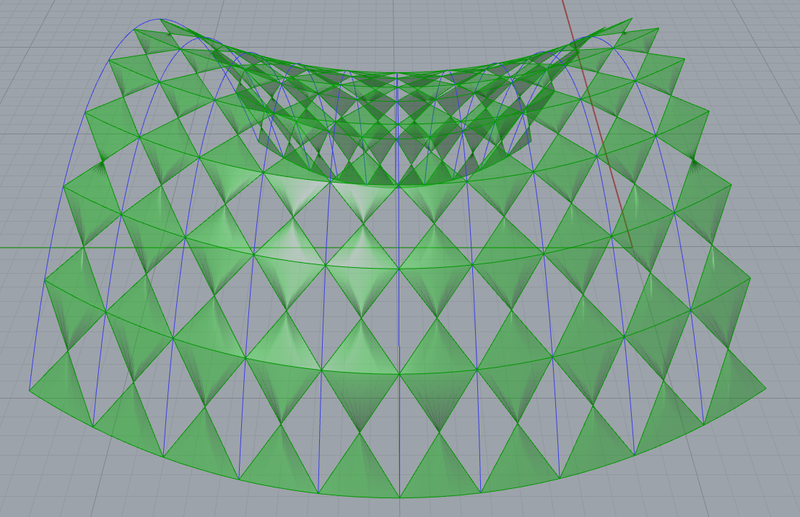 To produce the roof panels, I told you to extract every 1st and 3rd edge in each edge group and connect them via the Ruled Surface component. 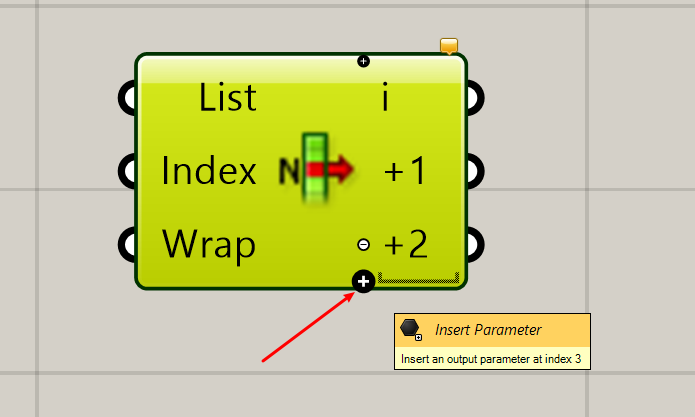 To do this we used the List Item component extracting item 0 (i) and 2 (+2). 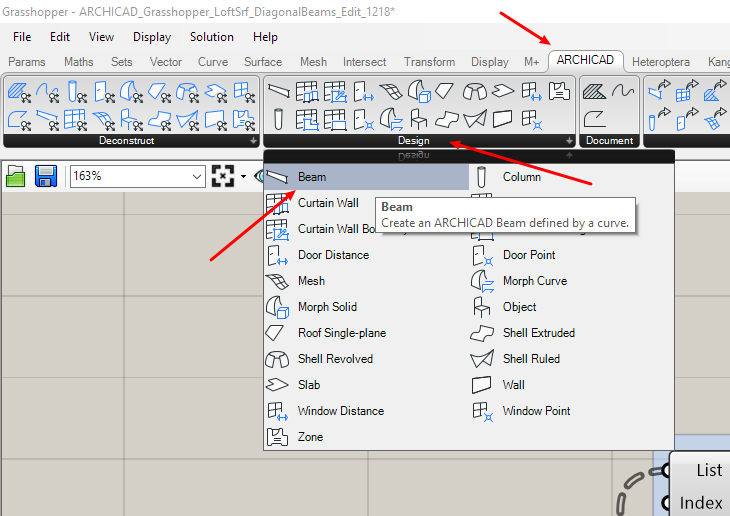 Do you miss some ARCHICAD beams along the border curves of your surface? 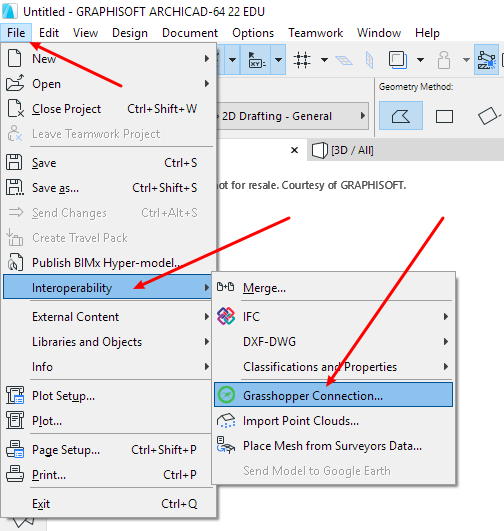 You will have to add some more definitions inside Grasshopper. 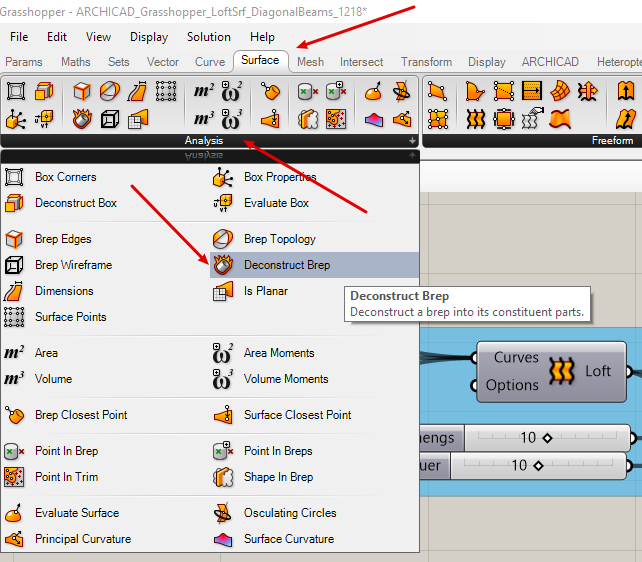 Up to now, all your ARCHICAD geometry is dependant on its Grasshopper definition. 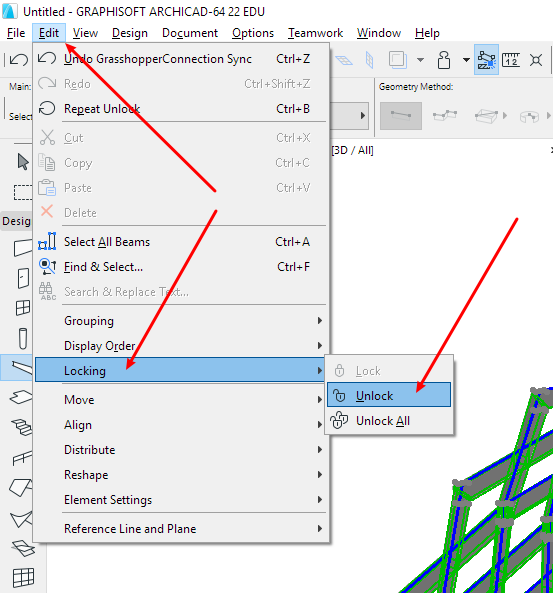 To proceed, you may want to make your new freeform structure standalone in ARCHICAD – thus making it independant from Grasshopper. 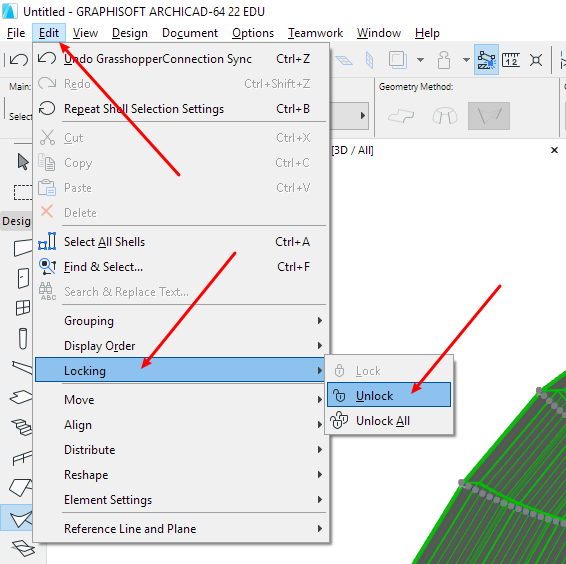 With Rhino3D Grasshopper you can enhance ARCHICAD’s modeling capabilities. 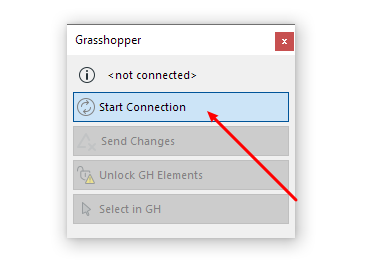 As you can observe, Grasshopper plays the main role in this play. 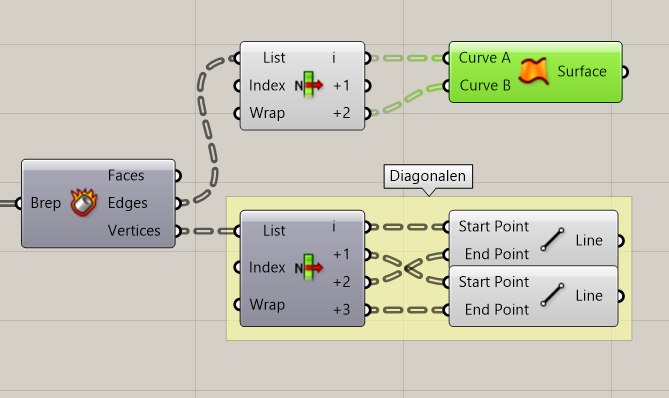 To make the most of this modeling freedom it is a good idea to work on a profound understanding of how parametric definitions in Grasshopper work.